Our clients value our team's ability to work at all levels of the architecture, and provide guidance on any and all aspects of software development when called upon. Our consultants have extensive background in full-stack enterprise development — in fact, many have over two decades of industry experience. We work across a broad range of technologies, including iOS, Android, connected devices, digital media, microservices, cloud, and big data. And we deliver training and mentoring that helps our customers' in-house engineering staff stay on top of the latest developments. Enabling sports fans worldwide to stay connected with their teams and statistics in real time. We are working with a major sports league to enhance the fan experience. Through the use of bleeding-edge architectures, we enable content and over-the-top (OTT) video delivery, keeping fans on top of their game with breaking news, up-to-the-minute scoring, game day highlights, expert commentary, and exclusive live and video on demand (VOD) content on a variety of platforms, including mobile, desktop, and connected devices. Using a robust continuous integration process along with automated testing and a continuous deployment cycle, our team implements enhancements, features, and fixes multiple times during any given production day. Fans get new exciting features quickly! Improving guest experience through the use of innovative solutions and bleeding-edge technologies. Working with a major hotel entity, we are redesigning their flagship iOS and Android applications to radically transform the guest experience by creating the perfect mobile travel companion. Guests are now able to add hyper-localized services and products to their reservation using Apple Wallet and iBeacons located throughout the property. We built their first Apple Watch application that was one of only a handful of selected watch applications selected by Apple to be featured in the keynote address at the Apple Watch launch event. About Objects architects and engineers are mentoring client team members while working side-by-side with them to develop applications for iOS, watchOS, and Android. This approach allows the client to take full advantage of our team’s extensive experience on the mobile platform, as well as in full SDLC enterprise development. We are also working closely with the client to fine-tune their process and methodology in areas such as Agile principles, DevOps best practices, and code reviews, yielding dramatic improvements in code quality as well as sharp reductions in the number and severity of production issues. And we are helping to achieve significant reductions in time to market by instituting automated testing practices and continuous integration. Enabling patients and healthcare providers to collaborate, collect, and manage information on-demand through mobile, desktop, and cloud solutions. We are working with a technology healthcare provider to deliver cloud and web services for integrating web, mobile, and desktop applications to benefit patient and healthcare providers worldwide. Through the use of RESTful web services, we are providing modern and consistent APIs to allow current and future applications the ability to easily access and exchange patient, hospital, and doctor information all in a consistent manner. We are part of the team building patient portal software so patients have access to their hospital records and the ability to securely interact with their physician and healthcare providers. We provide support for a suite of mobile applications started in 2012 by adding new features as well as keeping apps current with yearly iOS releases from Apple. We continue to build on a solid relationship that was established in 2012. Since then, we have trained over 100 staff engineers on both iOS and Android platforms. We worked alongside the client engineers to mentor and build the first generation of native healthcare mobile applications. We are currently providing staffing, mentoring and expertise to the client’s engineering community on numerous platforms including iOS, Java, architecture, testing, and cloud technologies. Our consultants are aligned to individual teams to compliment the team technologies, goals, and objectives. Defining modern APIs to integrate the international airline industry and open new markets for consumers of air travel routing information. 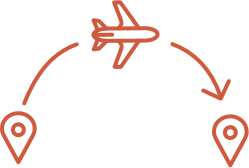 We are working with an airline industry client (a consortium of over 450 airline companies) to open international air travel routes, fares, and fare related information for internal and external use by the airline and travel industries. Today this information is used by global distribution systems (e.g., Amadeus, Travelport, Sabre), online travel agents, and computer reservation systems but may be open for public consumption in the future. We started with our architectural review process where we made suggestions for improvement using modern RESTful APIs, microservices, in a cloud architecture. We proposed FAIR (Fast Airline Interoperability Resources) as a mechanism to standardize and promote data interchange as well as open up new markets for this client. We provided our “Business Analyst Training for Service APIs” for forty plus analysts, engineers, and architects. In the future we will be providing training courses for Reactive Microservice Architectures as well as technical support and mentoring. Delivering live and on-demand HDTV content worldwide to fans of sports, music, and lifestyle entertainment. We are working closely with an extreme sports media entity to keep their client TV viewers up to date on their favorite digital media content online. Through the use of cutting-edge technologies, microservices, data analytics, integrated in a sophisticated cloud architecture, our team is helping deliver enhanced, real-time access to video on demand (VOD) and live programming to a variety of platforms including mobile, desktop, and connected devices. About Objects architects and engineers are using state-of-the-art microservice technology and modern REST APIs to rewrite the client’s legacy applications. Users will be able to easily navigate through live, on-demand, and personalized content. We are also building a robust and scalable data analytics platform with sophisticated reporting to analyze usage patterns that will support the delivery of personalized content. In addition, we have also helped the client streamline their cloud deployment process resulting in a quicker time to market. Leveraging mobile technology to streamline customers' in-store shopping experience. We are working with a major fashion retailer to enhance their iOS mobile point of sales application, providing a more streamlined in-store experience for customers and sales associates. The application is targeted for rollout to over 1,500 stores in Northern America. Recent enhancements include migrating to tokenized payment card data to enhance security and streamline compliance. The About Objects team, under the auspices of Apple's Professional Services organization, initially performed an in-depth assessment of the client's IT organization's readiness for mobile development. On the heels of that effort, we designed and developed the initial version of the client's iOS point of sale application, as well as consumer-facing retail applications for iOS and Android, while mentoring the client's team to get them up to speed on both platforms. This approach allows the client to take full advantage of our team’s extensive experience on the mobile platform, as well as in full SDLC enterprise development. Streamlining management of clinical studies through the use of business intelligence and advanced automation. Working with a leading provider of clinical trial services, we dramatically improved throughput for invoices submitted by clinical providers, decreasing setup time for clinical studies, and reducing the number of manual steps required to process invoices for payment -- for example, by automating validation of imported data. About Objects architects, analysts, and engineers work closely with the client's team. We have introduced a UML-based, model-driven requirements process that streamlines requirements elicitation, leading to more efficient definition of the user stories that feed our Agile methodology. We have also established a UML-based documentation process for architectural patterns that is speeding development of the systen's microservices and user interfaces. We are also working with the client to fine-tune their process and methodology in areas such as Agile principles, DevOps best practices, and automated unit testing, yielding dramatic improvements in code quality as well as excellent benchmarks in the number and severity of production issues. And we are helping to enable rapid deployment of new features through the introduction of automated testing practices and continuous integration.